Instructional. Instruction. 64 pages. Edward B. Marks Music #M60. Published by Edward B. Marks Music (HL.9295). 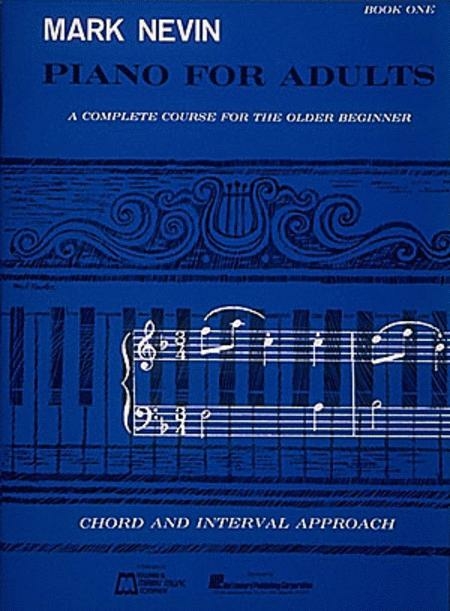 This book is designed for the older beginner at the piano, without reference to age limits. It is intended to fill the need of the student who has never had lessons or the student who had lessons in childhood and now needs a 'refresher' course. This method is equally suitable for individual or class instruction. The following important fundamentals are covered in this book: Directional note reading, intervals, chords and triads, scales (major and minor), keys and key signatures, finger technique and more. Teaching points are presented through appropriately graded piano compositions by the author, as well as through suitable arrangements from the works of the great masters (Beethoven, Brahms, Mozart, Chopin, Tchaikovsky).